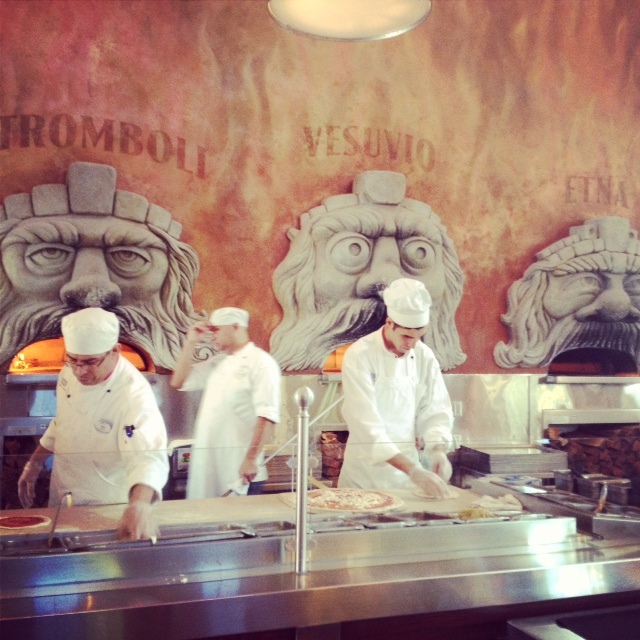 Lunch in Italy while Vacationing in Orlando? There are so many choices when it comes to dining while vacation with in the Orlando area. One of the great things is that with the World Showcase at EPCOT, you can actually chose where in the world you would like to eat. 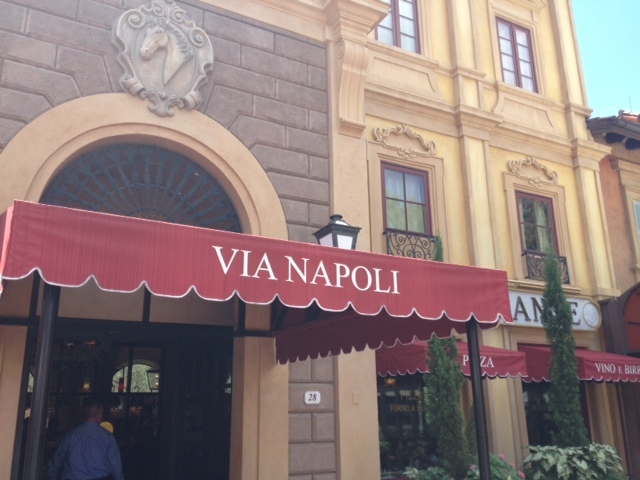 Last week we chose Italy, and the very popular Via Napoli restaurant. The first thing you notice once you are escorted into the dining area is the wood fire pizza ovens. 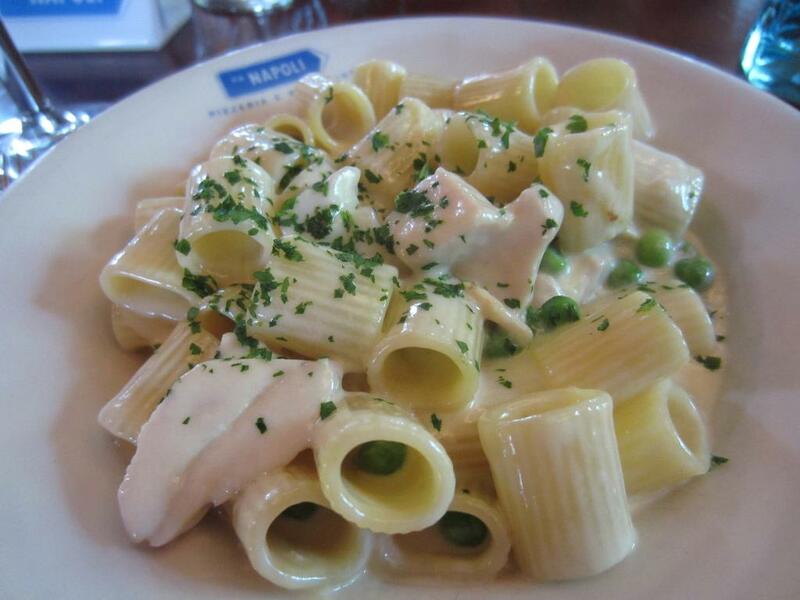 The waitress share with us that water for the dough is even sourced from a spring similar to Italy’s Campania region. 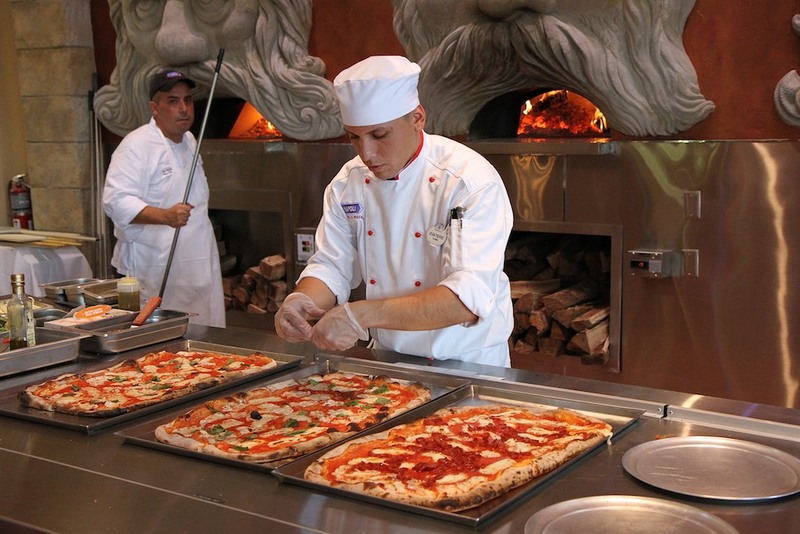 Pizzas are then cooked in wood-burning ovens named after the 3 active volcanoes in Italy—Mount Etna, Mount Vesuvius and Stromboli. To watch the giant pizza pies to be pulled out of the mouth of flames is a treat! 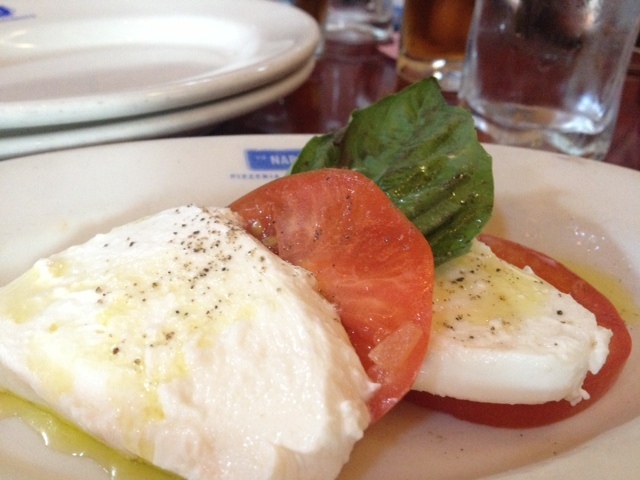 We orders some appetizers, but the mozzarella with fresh basil and tomato was my favorite! We had a few different things off the menu, which everything was delicious. 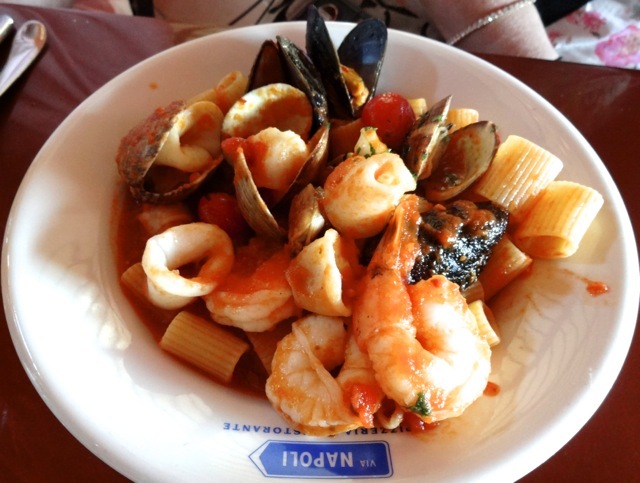 I had the Mezze Rigatoni alla Creme con Pollo, but a table favorite was the Linguine Frutti di Mare, which is shrimp, clams, mussels & squid tossed in marinara piccante. And of course the giant pizzas were an attraction at the restaurant themselves. Lunch wouldn’t be complete without some dessert and coffee. 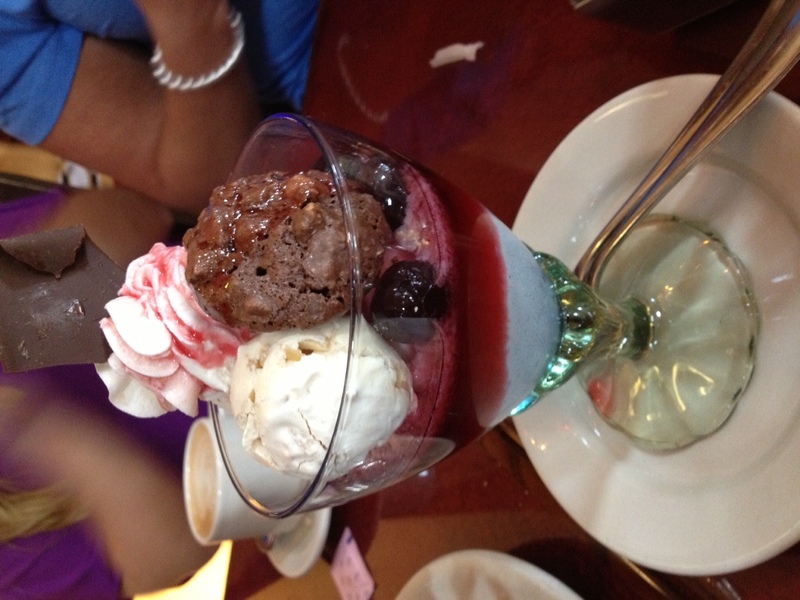 We had the Coppa di Brutti Ma Buoni, which is authentic Vanilla Gelato and Amarena Cherry Sundae. The cherries are sooooo good! And we also tried the Zeppole di Caterina, which is Ricotta cheese fritters, served with whipped cream and chocolate sauce. 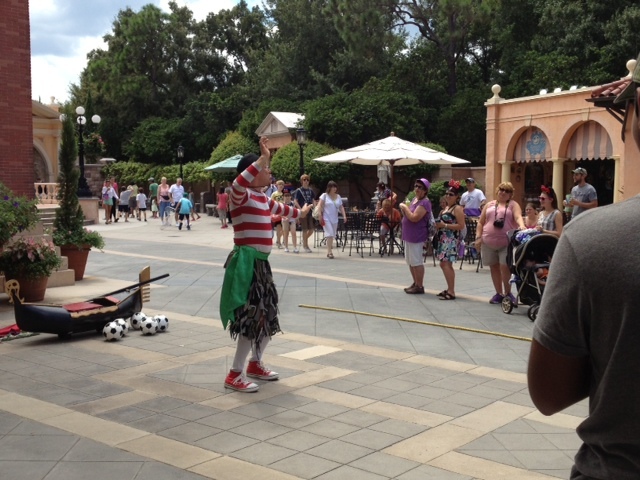 As we headed out from lunch it was fun to watch the entertaining street performer for a bit. He had a crowd laughing and interacting with him as he did his show. *We were invited by Disney to experience lunch at Via Napoli. All opinions are our own.